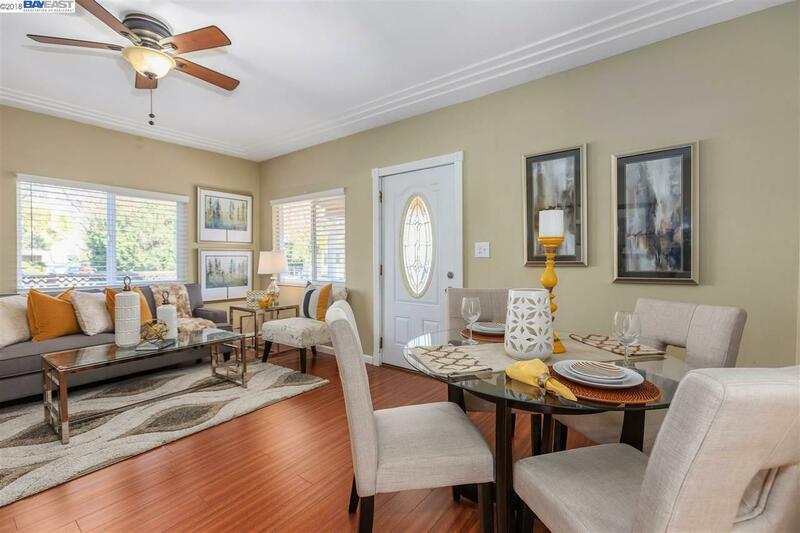 Amazing opportunity $100k price reduction to own in downtown Pleasanton! Two houses on one lot. Walk to the fairgrounds , restaurants, coffee shops, library and award winning schools. Updated Downtown Live in one and rent the other . (2) Highly Marketable, Well-Maintained 3Br, 2Ba Unit and 2 bed 1 bath unit .Wood laminate floors, heat and A/C, w/ in-unit laundry. Rear Unit w/carpet and yard with garden, hot tub and fountain, open floor plan, recessed lighting & walk-in closet. Updated kitchen with granite and stainless appliances and in unit laundry. Ample onsite parking in rear. Long term tenant in rear unit, excellent cash flow. Zoned RM- for multiple units check w/ city for development guidelines. Easy access to public transportation - ACE/ BART & 680/580 freeways.